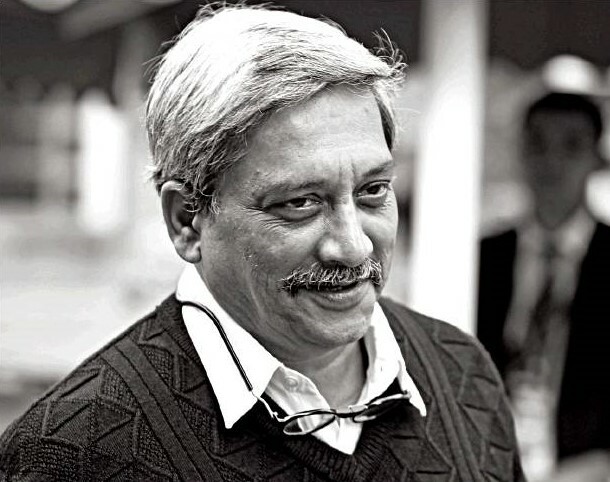 Goa chief minister Manohar Gopalakrishna Prabhu Parrikar died on Sunday in the midst of his fourth term in office. The 63-year-old widower, also former defence minister of India, is survived by two sons and a grandchild. His death leaves India’s smallest state with a coalition government under considerable strain. Parrikar had quit as Union defence minister in March 2017 to return as chief minister of India’s smallest state to hold together the ruling coalition after its constituents refused to accept anyone else as its leader. That he stayed on in the job despite his deteriorating health, reflected his indispensability to the Bharatiya Janata Party. In the past two decades, as far as Goa was concerned, Parrikar was the BJP and vice versa. But while the state saw a degree of political stability when he was at the helm, Parrikar was destined never to complete a full term as chief minister. His first term, which began in October 2000, lasted 16 months and the second, from June 2002, was for two years and eight months. He began his third in 2012, having led the BJP to its biggest ever victory, giving it a majority on its own for the first time. Parrikar even declared that it would be his last term as chief minister and as an elected representative. In another two years, he would however be drafted by Prime Minister Narendra Modi to become the country’s defence minister, forcing Parrikar to leave his beloved Goa. Born to a Goud Saraswat Brahmin family in Mapusa, Parrikar was introduced to the Rashtriya Swayamsevak Sangh at an early age. After graduating with a degree in metallurgy from the Indian Institute of Technology-Bombay, he set up a pneumatic pump making unit in Goa. It was in the 1980s that the BJP got serious about establishing itself in Goa, which had mostly been governed since liberation from the Portuguese in 1961 by the Maharashtrawadi Gomantak Party, which represented the interests of the majority Bahujan community. The BJP asked the RSS to lend it the services of some of its cadres. Among them were Parrikar and Laxmikant Parsekar, the latter defying his MGP-loyal family. When the BJP decided to contest assembly elections in 1989, Parrikar was still splitting his time between business and party work. The BJP got 0.8% of the vote. Parrikar’s political acumen and organisational skills are credited with taking the party to power in about a decade. He began his first term as chief minister in 2000 just months after losing his wife to leukaemia, making him a single parent as well. He sought to bring about a change in Goa’s governance. His reputation as an honest politician and the rigour with which he applied himself to issues, encouraged greater accountability from the administration. His short-sleeved, untucked shirt and sandals — eschewing the sartorial style of most Indian politicians — was noted, as was his no-fuss style of work. Meanwhile, roads got built, water and power supply improved and some of his pet social welfare schemes were launched during these early years. In opposition, he brought the same zeal to campaigns against the Digambar Kamath-led Congress government for allowing casinos on the Mandovi river, for extending government grants to English-medium schools, on illegal mining that wrought heavy environmental damage, leading to the 2012 victory. The illegal mining controversy that he’d fanned as opposition leader would soon lead to a court-imposed ban. Parrikar would fume against the Congress-led coalition government at the Centre and the Supreme Court for “interfering,” chafing at the limitations of his position. Parrikar considered himself a nerd at finding solutions to problems, particularly economic and accounting ones. While he’d listen to people, his word would be final. Meanwhile, the casinos stayed afloat, the government continued to fund convent schools, and nothing much happened to Kamat, who he’d vowed to send to jail. This would prompt one-time friend and mentor in the RSS, Subhash Vellingkar, to accuse him of appeasing the church, of being a “U-Turn” chief minister. There were other criticisms too — applicable to most politicians — that he didn’t delegate and didn’t foster a second rung of leadership, leading to a vacuum. His colleagues, however, point out that expansive infrastructure projects got the green light during this period. In 2013, as host of a party conclave, Parrikar would step up and force an indecisive national executive to name Modi, then Gujarat chief minister, as campaign chief, helping pave his way eventually to the Prime Minister’s post. Midway through his third term, in November 2014, Parrikar would be summoned and entrusted with the defence ministry. There was a desperate need for a credible face, quick and transparent decision making in this ministry straight jacketed by long unresolved issues. Parrikar, a fierce nationalist, fit the bill. It was the first time that a son of Goa had occupied such a high office. But as Parrikar headed to Delhi it wasn’t without doubts, complaining about the “Roman culture” that meant having to watch one’s back. As defence minister, he sought to free defence procurement from being sabotaged by rival manufacturers, pursue realistic ambitions and prioritise operational readiness of the armed forces. The armed forces also conducted surgical strikes across both frontiers during his tenure. But he missed his fish curry and rice, and whenever he got the chance he would head back to Goa. This would cast a shadow on Parsekar, who had replaced him as chief minister, and end up costing the BJP. The mandate against the Parrikar-Parsekar government would reduce the BJP to 13 seats in the 2017 assembly polls. Without Parrikar, the BJP just couldn’t drum up enough public support. Parrikar would return, “taking moral responsibility,” leading an odd coalition of divergent interests to form the government. The only thing holding them together, since March last year, was Parrikar. Ever since February, when he had to be rushed to hospital, the government, the party and Goans in general had been wondering who could fill his shoes. While he was alive, it was clear that no one could.